It is common business practice for companies to stand behind the quality of their products by offering assurances of repairs, replacements, and/or refunds in the event of product failures or customer dissatisfaction. The eventual costs of such waranty obligations cannot be known with certainty at the date of sale, although most companies can make reasonable estimates; these costs are associated with current sales revenues. For revenues and expenses to be properly matched, the future costs of warranties and guarantees associated with the current period revenues must be estimated and recorded in the current period. Also, the related obligations must be reported on the balance sheet. This post provides a basic accounting guide on how to record warranty obligation. 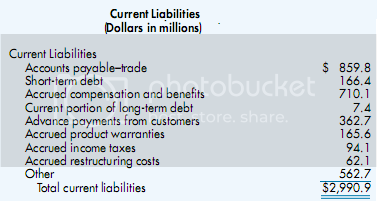 The above figure shows that Putra reports among its current liabilities an obligation for product warranties in the amount of $165.6 million. This implies that Putra’s managers estimate that the company will eventually make expenditures of about $165.6 million related to merchandise sold prior to the balance sheet date. In subsequent years, the firm will spend cash or use other resources to perform warranty repairs. 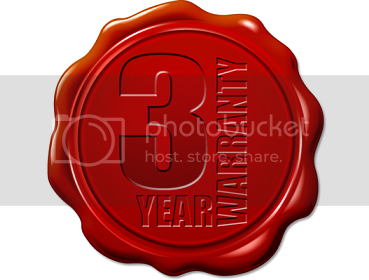 As the warranty repairs occur in subsequent periods, the liability will be eliminated. Note that no additional expenses are recognized at these points because the warranty expenses were matched against sales in 2009. Of course, the cost to be incurred for product warranties cannot be known for certain in the period of sale. For this reason, Putra must rely on its past experience and on information from other firms engaged in similar activities to make a reasonable estimate of its obligations for warranties. If the amounts of warranty expenses and obligations are potentially significant to users of Putra’s financial statements, the firm’s auditors will carefully evaluate the assumptions used to estimate this obligation. FREQUENT FLYER PROGRAM – The Company accrues the estimated incremental cost of providing free travel awards earned under its SkyMiles(R) frequent flyer program when free travel award levels are achieved. PASSENGER AND CARGO REVENUES – Passenger ticket sales are recorded as air traffic liability in the company’s consolidated balance sheets. Passenger and cargo revenues are recognized when the transportation is provided, reducing the air traffic liability. a. Contrast the ways that Delta measures its air traffic and frequent flyer liabilities. Attempt to justify the differences in the two measurements. b. In what way does Delta’s air traffic liability differ from accounts payable included in current liabilities? In what ways are the two items similar? [a]. Delta measures its air traffic liability based on the value of the unused tickets. In contrast, Delta’s frequent flyer liability is measured at the estimated incremental cost of providing travel. As a result, Delta reports revenues, costs, and operating profits when the air traffic liability is satisfied. It is difficult to justify the different methods used in measuring these two obligations. Both represent liabilities to provide future air travel service. Airline company managements prefer measuring frequent flyer obligations at incremental cost because this results in a lower reported obligation than would measurements based on the value of frequent flyer awards. [b]. Delta’s air traffic liability obligates the firm to provide passenger services in the future. Assuming that Delta operates at a profit, the cost of satisfying the liability will be less than the reported amount of the liability. Accounts payable, on the other hand, are recorded at the actual amounts that are expected to be paid to creditors. The two items are similar in the sense that both items obligate Delta to disburse current assets or to provide services in the near-term future (in other words, within the longer of a year or operating cycle). How to Convert Cash Basis to Accrual Basis?